Voice Recognition Software, also known as speech-to-text software, or dictation software, allows a user to interact with their computer, tablet, or mobile device by using voice commands instead of typing characters on a keyboard. This type of program can be used to translate speech into typed text, or to use the device itself to operate programs, search the web and more. Voice recognition software is embedded in popular device such as the Amazon Echo (Alexa), Google Home, Android mobile devices and Apple products. This type of information recording is three times faster than typing and can be incredibly helpful for anyone who needs to keep their hands free. Dictate case documents and notes without using a pen or pencil. This allows you to keep your hands on the video camera and your eyes on your subject. Search the web for information and data related to a case. Maybe you see something during your surveillance assignment and you’d like to look it up. As an example, you could use your Google Assistant to ask something like, “Ok Google. Tell me about the town of X”. Send emails to clients and co-workers. Dictate a text verbally and send it to your boss, other investigators on the case, or even your wife to let her know you’ll be home late. The most popular speech recognition / dictation software program on the market is made by a company called Nuance Dragon. Dragon Dictation Naturally Speaking 13 is software that helps you be more productive by using voice recognition software to interact with your computer. This software is perfect for private investigators who need to keep their hands free during surveillance. Now, you don’t have to miss potentially important activity just to stop filming and write down case notes. Just keep your laptop on the car seat next to you, start up the software and dictate notes as you go. Visit Amazon to learn more about the product, read reviews and buy it today. How is traffic like today? What is the definition of a particular word? Tell me the latest news report? To learn more about, view a list of Alexa Voice Commands for the Amazon Echo family of devices. 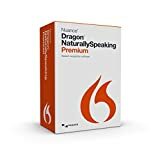 If you need help getting started with this new way of recording notes and ideas, we recommend starting with the Dragon NaturallySpeaking for Dummies book. This insightful guide explains the basics on how to get started using this software to run your business more efficiently. When you perform work such as surveillance, driving, and operating multiple electronic devices, you need your hands free. Truly, having an automated dictation system to take notes is invaluable. If you plan to start using dictation software, you’re going to need a high-performance, hands-free digital audio headset. Primarily, we recommend this headset because it is of high quality and comfortable. Plus, it is easy to use. You’ll be up and running with it in no time. Voice Recognition USB Headset – This headset is compatible with Nuance Dragon Speech Recognition Software. They help increase accuracy for speech recognition and have excellent noise canceling capabilities. If you have any questions about voice recognition software, please leave a comment below. Also, see our other software solutions for private investigators and police officers.